A rhizome is an underground stem that looks like a root. A rhizome is an “image of thought”, a descriptive model of reality. A rhizome is a body without organs, without hierarchies. This project aims to transfer the concept of the rhizome to the dancer’s body and the relationship established between this and the surroundings. The idea is to give the spectators the impression of looking through the eyehole in a kaleidoscope, but a kaleidoscope made up of people, lives and human relationships. Mizar Martínez Álvarez graduated in choreography and dance performance techniques from the dance conservatory attached to Barcelona’s Institut del Teatre (2010). In September 2008, she was accepted on the ex.e.r.ce. programme at the National Choreography Centre in Montpellier (Languedoc-Roussillon), participating in dance research projects and meeting artists such as Xavier Le Roy, Eszter Salamon, Eleanor Bauer, Chrysa Parkinson and Juan Dominguez. She has performed in Project by Xavier Le Roy (2008 Montpellier Dance Festival), Retrospectiva by Xavier Le Roy (Fundació Antoni Tàpies, 2012) and in Got Skills by Eleanor Bauer (Montpellier 2008). In May 2009 she met Mathilde Monnier and worked as her assistant in the show Pavlova 3’23 (CCN-Montpellier, October 2009). She is particularly interested in research and experimentation in the field of the performing arts. She has been a resident at the National Dance Centre in Toulouse within the framework the Modul-Dance project. The Plec (The Fold) is one of the compositions that emerged from a series of laboratories called L’immediatament al costat (The immediate alongside), where Sònia Sánchez has carried out research since September 2011. These laboratories take the body as a primary political agent and affinity as a system that gives rise to a succession of encounters and compositions. This generates intimate, shared spaces, moments of reciprocity. In this work, Sònia focuses on the internal and external memory of each fold and unfolding, which emerges from sounds and silences, melodies and dissonances, passions and understandings, attitudes and gestures, using each experience like an internal movement of the earth to create the relief and the textures of the dramaturgy. After 33 years travelling the world of dance and music, Sònia Sánchez is still committed to her dancing, relentlessly exploring it and pushing it for more. After having worked with artists such as Antonio Canales, Cristina Hoyos, Albert Pla, Nuria Espert, J. M. Cañizares, Alfredo Kraus, Duquende or Tomatito, Sònia – linked to flamenco since she was born – decided in 2002 to start a new phase of deeper inquiry into the forms of education, creation, composition and transmission involved in this art. With no desire to disregard the revolutions that preceded her, Sònia has developed a method of physical learning and training inspired in the tools of Body Weather (taken carefully from Andrés Corchero and Hisako Horikawa) and flamenco (she studied alongside Ciro, La China and many others). 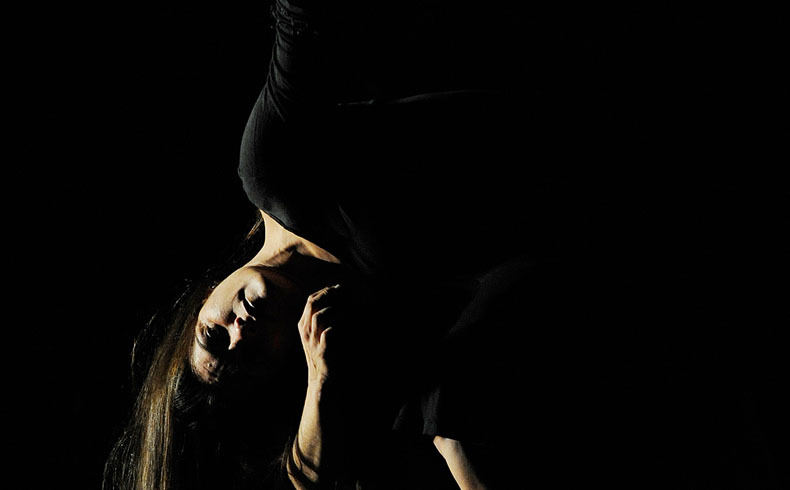 Thanks to a carte blanche provided by the Modul-Dance project, Sònia Sánchez has carried out research at the National Dance Centre (CND) in Paris.